Click here to view my YouTube Channel and visit my listings and other Cochrane fun stuff!! Debbie Leah, a local Realtor who knows how to put her expertise in all things real estate to work for you, meeting your specific criteria and needs. She believes in the highest standards of service to her clients and it shows up in the results she is able to achieve. Whether you are buying or selling, you need an experienced, knowledgeable agent to help you get through the process with minimal stress - and maximum satisfaction. 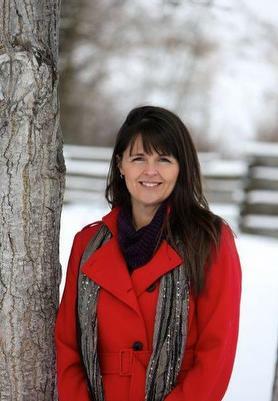 Debbie Leah has been helping clients buy and sell homes in Calgary and Cochrane area since 2002, and she would love to put her know-how to work for you. Tell her your price range and your must-haves, and she'll find you a home that meets your needs and suits your budget. She offers innovative strategies for marketing your home. She spends time listening and adjust her strategies to make a plan that is personal to you and your situation. She loves what she does and she loves people... because of that she makes the buying/selling process fun and exciting. Contact Debbie Leah at (403) 437-2290 to find out how she can help you. Contact Debbie today at 403-437-2290. Debbie would love to talk to you about your real estate needs. I would like to receive email updates from Debbie Leah regarding Real Estate in my area(s) of interest. "Debbie was patient and resilient with my ever changing requests from rural to urban properties. I would definately utilize her friendly, knowledgable and efficient services again and recommend her."